Deb found her Dream Home in Paradise seven years ago, having relocated from New Jersey. She owned and operated her cafe for over a decade and prides herself on the utmost of customer service. She was so anxious to help others in discovering SW FL. she became licensed her first year here. Debs friendly and upbeat personality will put you right at ease, while searching for your own dream home. 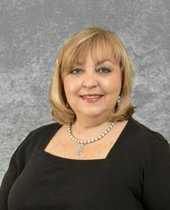 With her extensive knowledge and attention to detail she will guide you through every aspect of your real estate transaction professionally and courteously. Fishing and boating, as well as cooking and baking for family and friends are some of the things she enjoys. Become one of the family as Deb searches for your new home, as well as introducing you to a tropical lifestyle here in beautiful coastal SW Florida.